To maximize the benefits of the high performance all terrain SandCat 4×4, we offer full customer personnel training courses that include both best handling of these powerful, versatile machines, and a full range of vehicle specific skills for most effective, long-term maintenance and service. 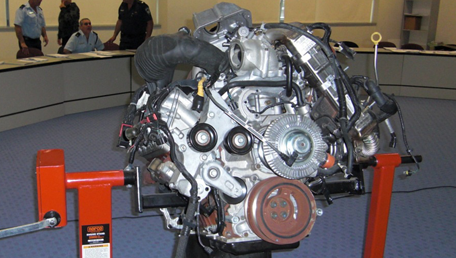 Training courses enable customers to implement proper operation, maintenance and safety procedures, and cover advanced day and night, on and off road all terrain driving techniques, as well as hands–on practical field repair and maintenance scenarios for all mechanical, electrical, electronic aspects of the vehicle. We can also provide specific customized courses for customers. To ensure lowest LCC to our customers, the SandCat is built around a standard Ford 6.7 LV8 engine with modified and ruggedized chassis. As a result, service, logistics and spare parts become a simple and highly cost effective matter. In addition, we offer a complete maintenance program to enable maximum operational availability for the entire SandCat fleet. This covers all aspects of basic repair, ongoing service maintenance and pare parts, as well as troubleshooting and problem solving for both the vehicle itself and its its Kitted-Hull armor systems. All elements are backed by comprehensive documentation. Our services include a complete maintenance program to enable maximum operational availability for the entire SandCat fleet. This covers all aspects of basic repair, ongoing service maintenance and pare parts, as well as troubleshooting and problem solving for both the vehicle itself and its its Kitted-Hull armor systems. All elements are backed by comprehensive documentation. 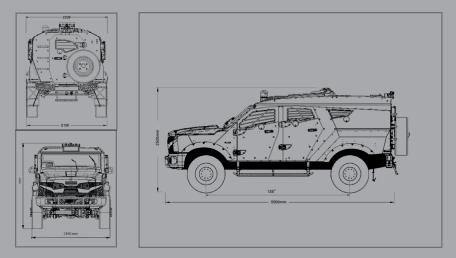 SandCat is based on a commercial FORD F-550 chassis with a 6.7 turbo diesel engine. 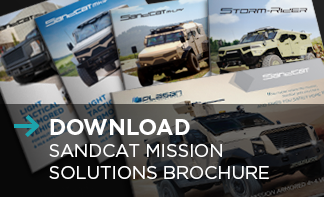 We create a complete maintenance and spare parts program enabling you to maximize the use of your SandCat fleet and extend operational availability. This includes a program for all basic repairs and maintenance as well as troubleshooting, regular service and ongoing maintenance for the vehicle as well as the kitted hull armor systems with comprehensive documentation.